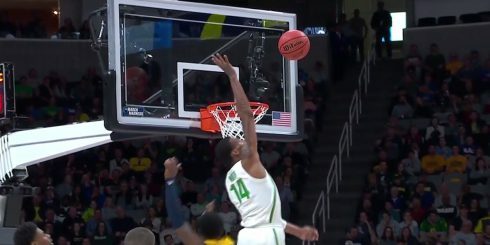 Oregon lost its Final Four game to Baylor because the players didn’t hit shots, plain and simple. 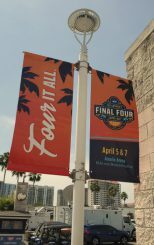 Baylor won the previous four NCAA Tournament games by an average of 38 points, so the Ducks have nothing to be ashamed of at all. They had as good of a chance as anyone to win the whole thing, but they just couldn’t hit the shots. Oregon’s first Women’s Final Four was memorable. The Ducks went one for everything down the stretch. Actually one for 13, but that sounds even worse. Oregon led late but couldn’t put the hammer down by adding to its lead. Despite all that Baylor was really only up by one possession until Oregon had to start fouling. The Ducks neutralized much of the size advantage Baylor had on the glass and hit enough shots to make it close, but not enough to win. Was the moment too big? I don’t think so, but maybe. Tired legs with a very short bench? For sure. It really would’ve helped to have Taylor Chavez or Nyara Sabally to come off the bench and give someone a rest for even two to three minutes. But you play with who you have. Baylor’s one-point win in the title game makes me believe Oregon could’ve beaten Notre Dame as well, if it had gotten past Baylor. Next year, the Ducks will enter the season ranked in the top three, based on who they have returning and the recruits coming in. 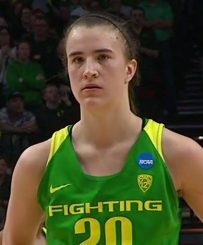 Let’s start by repeating what was said here last week: Sabrina Ionescu is what is right about college sports. She’s a great example in so many ways. She’ll graduate early and is enrolled for the School of Journalism’s ground-breaking Master’s in Brand Responsibility. As someone who is on campus every week and interacts with athletes academically, I’m comfortable stating that the academic effort of the average athlete almost always outpaces that of the general student population. There are good and bad examples on both sides of course, but it’s helpful to understand the demands of those playing these sports. Like most college athletes Ionescu is putting in insane hours. In general they’re putting in a 30 to 35-hour week for their sport, another 15 hours a week in class, and then going to study hall, which can start after a late dinner at 8 or 9 p.m. Then they get up again at 6:30 or 7 a.m. and do it all over again. Boo hoo many say. 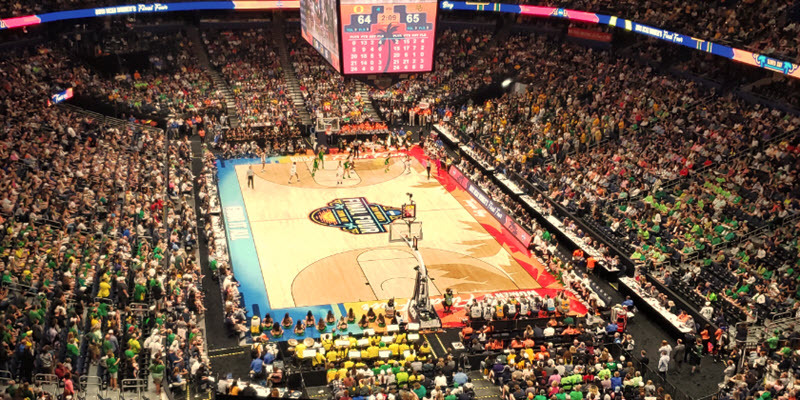 Ok, nobody’s crying for them, but let’s not minimize the effort of the 97 percent of the athletes who thrive in the classroom, are leaders in those classes, and still manage to make it worthwhile for you and me to watch or pay to watch them in person. Oh, and for the media and universities to make billions off of their efforts. The list of college athletes I know with this work ethic and drive is endless. People like Casey Benson, Carson York, Liz Brenner, Ryan Hagen and Carlyle Garrick. Like Ionescu, each wanted to take real classes and graduate on time. As a result, their schedules were packed 24 hours a day, six days a week, for nine months a year. I’ve seen their schedules and they are brutal. It’s not a typical college experience, and the athlete who succeeds at Oregon isn’t rare; it’s common. A paid-for education, yes. A free education, no. Free indicates you didn’t do anything for it. That’s not the case here. Again, a huge work week between lifting, working out on their own, practices, travel, games, film room time, and the list goes on. 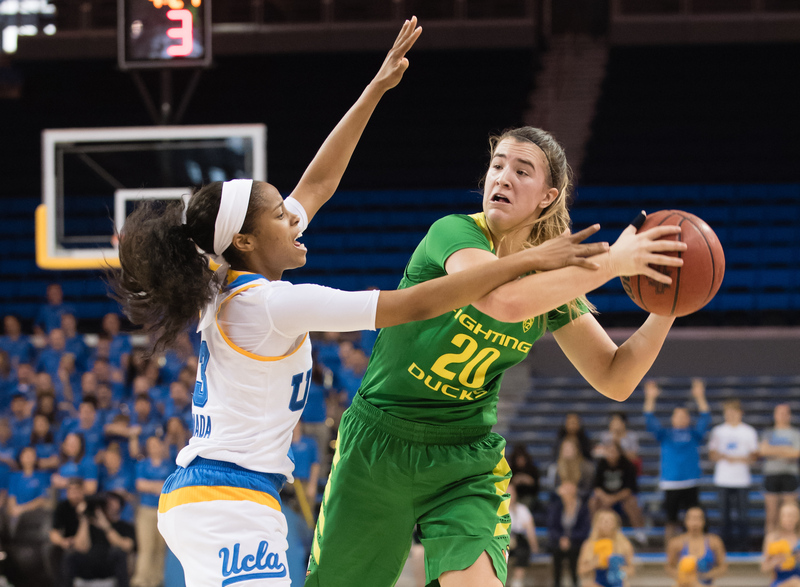 Ionescu may have known all along that she didn’t want to let go of the college experience just yet. But despite what some lazy pundits will tell you, she gave up more money than most will understand. Probably between $1 million and $1.3 million this next year. Ionescu is turning down quite a bit of money. Before someone tells me that’s not that much, I ask, to whom? Maybe not to NBA stars, but in the real world it is. I happen to think that $1 million is a lot of money, but that’s for another discussion. Yes it will be there after next year. But Sabrina is giving up a year of that income. It’s shocking to most that the number-one overall pick in the WNBA makes $53,000. One estimate by economist Dave Berri shows WNBA players earning 22% of total league revenue. By contrast NBA players earn roughly 50% of league revenue. And of course, WNBA TV ratings are minuscule by comparison, so there isn’t as much to share. The WNBA maximum is just over $111,000, and the average salary is about $75,000. That’s hardly get-rich-quick money. But for players like Ionescu, there are options overseas where she can make six to eight times what she makes in the WNBA. And of course, there are the endorsements where she could earn seven-figures when you add them all up. The NBA Draft Is Deep? Another Year for King? Yes, it’s too early for Louis King to go to the NBA. Based on the draft lists, it looks like he needs to wait one year. There’s no way to know whether he’ll stay, but with the overall depth of this year’s draft, and the depth at his small forward spot, he’s not even close to a first-round pick. In the 2019 NBA Mock Drafts, right now, 29 players look like a lock to go ahead of King. You could argue at least 45 players are a lock to go ahead of him depending on who else declares for the draft. Some who’ve already declared, hired agents, and will likely push King farther down the draft list include Lendell Wiggington, Luegentz Dort, Romeo Langford, and Louisville’s Jordan Nwora. Oregon heavily recruited both Wiggington and Dort. Regardless of what King does at an NBA Draft camp, all of those players are likely to go ahead of him. He is a second round pick at this point just because of the depth of this year’s draft. King would need a spectacular NBA Draft Camp to move up and that’s possible, just not that likely. Despite this athleticism, King isn’t a likely first-round pick. The upside of King going to the NBA now is that he would start the three-year clock a year earlier toward the second contract, which is when the huge money is paid. For players like King this year, and Troy Brown Jr. last year, it’s all about the timing. Even though King may be a better overall prospect than Brown, last year’s draft was thin and this year’s draft is deep. You can bet Brown knew that and it influenced his decision. So Brown took his shot. As of last week 38 other players from his rookie class have seen more minutes than Brown. Eight of those players were undrafted. It was still probably the right decision for him because he’s practicing every day against NBA players, and this year he might not have been drafted any higher anyway. King on the other hand, can move up 40 or 50 spots by staying one more year. Eighteen small forwards are consistently ranked above King on most boards, eight in the first round and another 10 in the second. King isn’t listed on most 2019 NBA Mock drafts. But he is rated as the third- or fourth-best small forward in 2020. That would make him a borderline lottery pick next year. Yes, he’ll lose one good year of salary, but his chances of thriving in the NBA might soar. All of this assumes as well that King wants to stay in school and isn’t lured overseas to play for a year before entering the draft. He may be one of those kids who just wants to focus on basketball and not have the distraction of going to class. Time will tell. If he grows his offensive game at all, Wooten could be a 2020 lottery pick. Kenny Wooten is rated similarly to King for 2020. There are 31 power forwards rated ahead of him right now, but only four in next year’s draft. If he develops a simple post game or an elbow jump shot off the pick and roll, he’ll become a first-round pick in 2020. He has to have an offensive game of some kind to be drafted that high, even if he is the best defensive player at his position next year. It’s the same reason Jordan Bell fell to the second round. Why does being drafted in the first round matter so much? Only the first round offers guaranteed money for three years. And GMs eventually get fired for missing on too many first round draft picks, so they always give them extra help, support and as much time as they can to pan out. For example, Tyler Dorsey is already gone from Atlanta and is now a Memphis Grizzly. I think he may be in Europe by the time King gets to the NBA. Coach Graves is bringing three new recruits to the Ducks next year, and with Ionescu back, they’ll have a roster with eleven players on it. With one more scholarship open, and plenty of youth, I think Graves may look for another transfer in the mold of Erin Boley, someone who can sit a year and be ready to go in 2020. The men continue to wait on Cassius Stanley and Cole Anthony. There are rumors that the Ducks have a backup plan if neither of them chooses Oregon when the spring signing period begins next week. 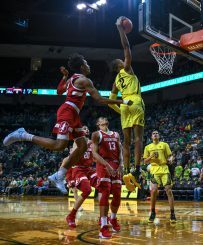 Barring a transfer of some kind, the Ducks will still have two scholarships to give, with seniors Paul White and Ehab Amin leaving and Bol Bol declaring for the draft. Your summer homework assignment is here. Start learning about these future Ducks: CJ Walker, Chandler Lawson, Chris Duarte, Lucy Cochrane, Holly Winterburn, and Jazz Shelley. I’ll be back soon with another article to help you get ready for the upcoming tests.